We are a local company that has been renting dumpsters to the Denver area for more than 10 years now. 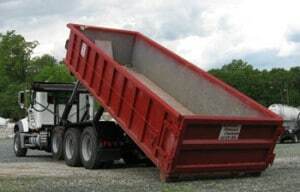 We are committed to delivering your dumpster without any hassle. It does not matter if you are a homeowner who is renting a roll off dumpster for the very first time, or if you are a contractor who rents dumpsters on a monthly basis, we promise you that will will bring your dumpster on time, and we will pick it up per your request. Not only that, but we offer the best dumpster prices in Denver. We also care about recycling, and we know the importance of keeping the planet clean, and this is why we do everything possible to do just that. When we remove waste from your project, then you can rest assure that it will be recycled at the highest rate possible. In matter of fact our recycling rates average 75%.. Contact us today for your dumpster rental needs.